Hero Motorcrop has today confirmed that the company isn’t discontinuing any of its existing models. As we reported earlier that the company will phase-out its 3 latest two-wheeler models, the Impulse 150, the Ignitor 125 and the Maestro 110. These rumors, which appeared on a leading business newspaper, The Economic Times, in this case was greeted with disbelief and shock by prospective buyers and existing owners of these products. In fact, Hero Motorcrop is working on producing more and pushing harder the Impulse, Maestro and Ignitor which media reports said were facing the axe. The company is looking at expanding production for the scooter and the Ignitor, contrary to the reports. 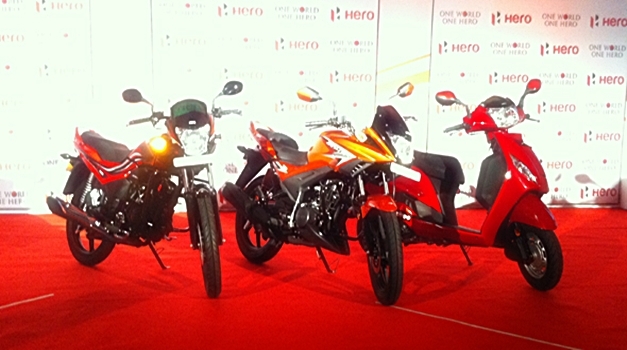 All of Hero’s products will be updated to ensure that they meet the new emissions norms that kick in 2015. Development work for this is expected to be handled internally. On the otherhand, the company has been expanding the capability and infrastructure at their R&D division and had announced tie-ups with AVL in Austria and Erik Buell Racing of the USA. Both companies are to help Hero develop products as well as R&D skills. Hero also announced a partnership with Italian two-wheeler design firm Engines Engineering who were previously owned by Mahindra 2 Wheelers. Engines Engineering will help Hero with the design of its future products.